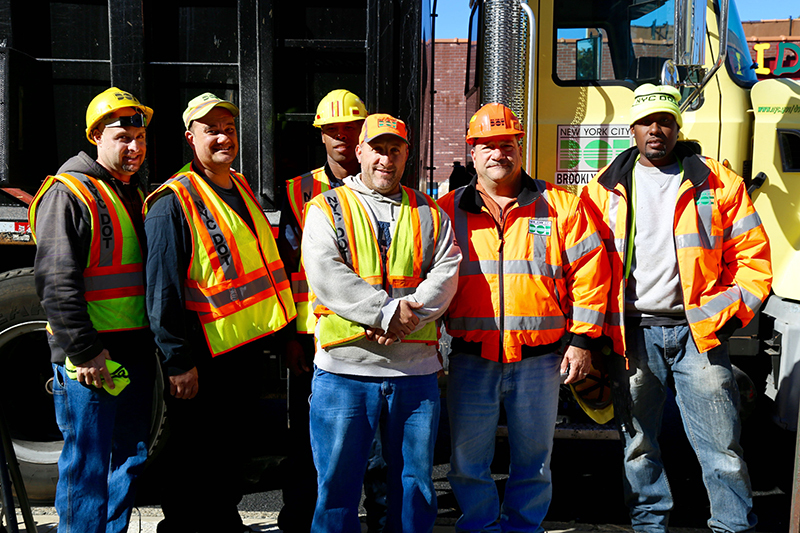 The New York City Department of Transportation (DOT) Roadway, Repair and Maintenance (RRM) crews milled and resurfaced a 34-block stretch along Flatlands Avenue from Remsen Avenue to Hendrickson Street to provide a safer, smoother roadway for Brooklyn drivers. 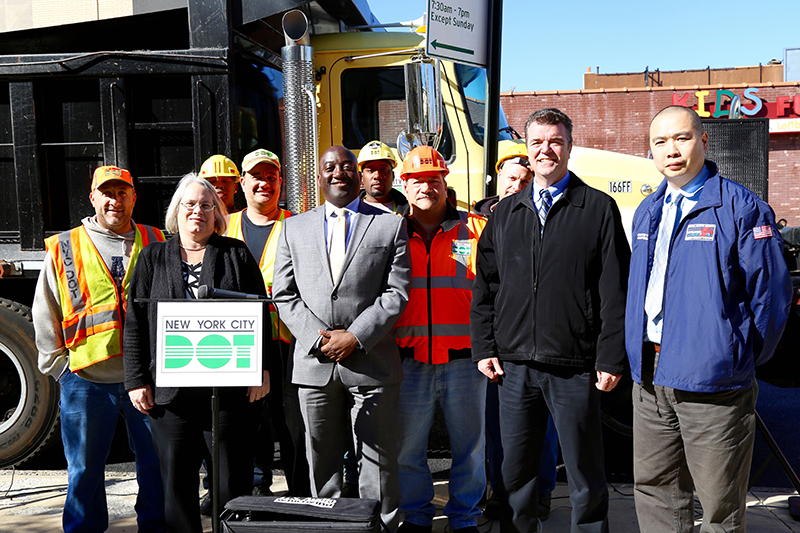 As part of DOT’s ongoing sustainable street resurfacing efforts, the crews milled and resurfaced 10.21 lane miles or 72,060 square yards of asphalt along Flatlands Avenue in 2014 and 2015. To date, a total of more than 275 lane miles, or more than 2 million square yards, of roadway have been resurfaced in Brooklyn. Flatlands Avenue is a major thoroughfare that provides access to several main arterials such as Flatbush Avenue and Utica Avenue. DOT has resurfaced more than 275 lane miles in Brooklyn this year, which equals almost 2 million square yards. Other main roads recently resurfaced in Brooklyn include Atlantic Avenue, Church Avenue, and Hamilton Avenue. This resurfacing effort is part of Mayor de Blasio’s increased $242 million investment in roadways in all five boroughs that will help repave 1,200 lane miles through June, 2016. The increased investment allows DOT to make streets safer and smoother for pedestrians, motorists and cyclists. Resurfacing is a regularly scheduled operation that repairs defects on the surface of the roadway by replacing the top layer of asphalt pavement. It also addresses issues like potholes, cracking, hummocks, bumps and patches of street cuts (created by utility and other underground work). For information about DOT’s ongoing efforts to address potholes and maintain more than 6,000 miles of roadway, please visit www.nyc.gov/dot, and please report any pothole condition to The Daily Pothole or to 311.